The Adirondack chair is an American classic. The Adirondack chair is an American classic. Named after the mountains in upstate New York where it was first constructed in the early nineteen hundreds, this chair is designed for comfort and built to endure all kinds of weather. With its fanned back, curved seat and arms wide enough to hold a drink or dinner plate, it’s a natural for outdoor relaxation. Students in this workshop will build an Adirondack chair using both hand tools and woodworking machinery. 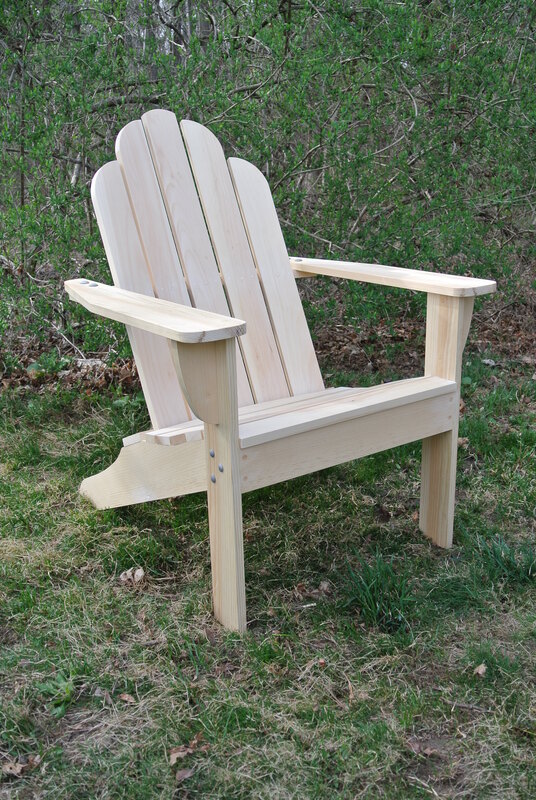 The design is distinctive, the chair is comfortable, and the project is straightforward, so come join us and make an Adirondack chair for your own lawn, porch or garden.